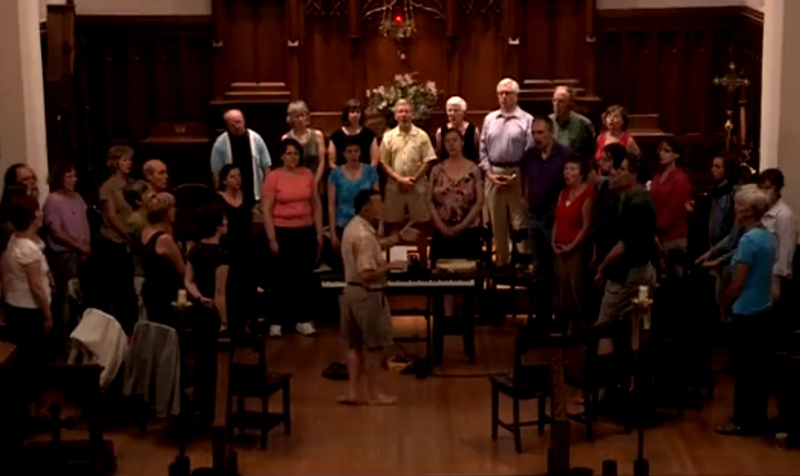 Barclay McMillan offers a wide range of voice workshops, many of them held in the acoustically beautiful St Luke’s Church in Ottawa's Chinatown. An evening with the poetry of Rumi, Rilke, Mary Oliver, David Whyte, and others. 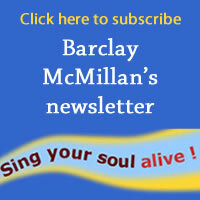 Barclay McMillan brings poetry alive in a celebration of the spoken word and the power of poetry. A rich offering of ancient and modern work that inspires and awakens. Wednesday, September 9 at 7:30 pm join Barclay at St Luke’s Church (760 Somerset Street West at Bell) for an evening of simple songs and chants from around the world. Ottawa’s longest running singing drop-in, Come Sing! is enjoyed by experienced singers and beginners alike. The next class will begin Monday, January 19, 2015 and run for 8 weeks. It is held from 7 pm to 10 pm.